Clients must get their parking pass validated at the front desk at check in order to avoid being charged by the gate attendant upon departure. 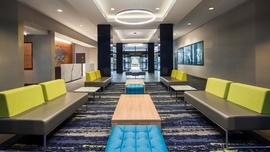 Our Park Snooze and Fly Package includes 1 week of free parking at the hotel near Philadelphia International Airport while you're enjoying vacation and a one night's stay at Sheraton Suites Philadelphia Airport the night before your flight. Alternatively, we can provide hotel accommodations on the night of your return. 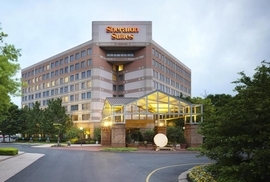 Lastly, shuttle transfers will be provided to Philadelphia International Airport when you depart and transfer you back to Sheraton Suites Philadelphia Airport upon your return so you may get your vehicle. If you have a late landing, staying the night of your return is also an option. You can take advantage of parking your car at the hotel prior to your flight and getting well rested at the hotel the night of your return. Our Park Snooze and Fly Packages are an excellent way to make airport parking convenient and affordable. 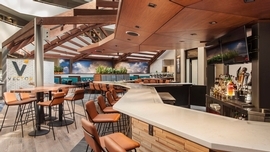 The Sheraton Suites Philadelphia Airport allows late arrival check-in so you know your room will be ready even if you have a late landing. If you need more parking than the included free parking at the Sheraton Suites Philadelphia Airport, you may extend the parking duration for an additional fee of (12.00 Per Additional Day) paid to the hotel. Cancellation policy is by 6PM two days prior to arrival. For full details on our Cancellation Policy, please view our Policies Page. 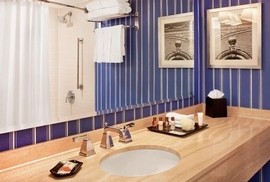 Sheraton is leading the way in full-service hospitality since 1937! During the past 80 years, Sheraton has extended its service to not only locations across the nation, but now worldwide in 70 countries, making 435 hotels total (and still counting)! 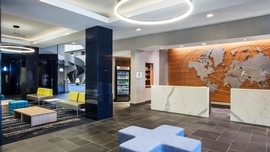 BuyReservations.com is thrilled to offer a hotel of this class, and also its sister property the Sheraton Suites, which is an all-suites experience! 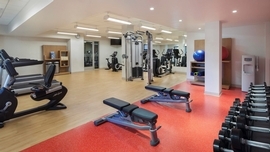 With either, you'll find restaurants, lounges, full-service business centers, fitness centers partnered with health and fitness leader EXOS(TM), and more. 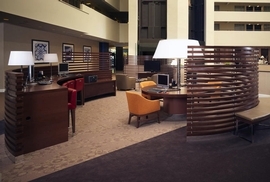 Enjoy free Wi-Fi and exquisite beds, with the ever updated and renovated Sheraton brand. We recommend this hotel for all traveler types, knowing that your satisfaction is the hotel's utmost concern. 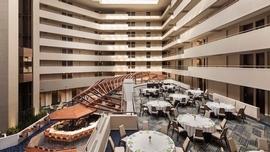 Click here to see all of our Sheraton, Sheraton Suites hotels which we offer in alternate cities. Transfer Note: Transfers run every 20 minutes 5am-11pm then on demand.